1. Dr SHANE RETI (NationalWhangarei) to the Minister of Finance : What reports has he received on the international economy and its effect on New Zealands economy? 1. Dr SHANE RETI (National—Whangarei) to the Minister of Finance : What reports has he received on the international economy and its effect on New Zealand’s economy? Hon STEVEN JOYCE (Associate Minister of Finance) on behalf of the Minister of Finance : Overnight the global dairy auction registered a 5.9 percent fall in the price index, compared with the last auction a fortnight ago. That was the eighth consecutive auction to see a fall, and the average global dairy trade price is now back to similar levels to those seen in late 2014, or around 30 percent lower than the recent peak in early May. Offsetting that somewhat is the fact that the trade-weighted New Zealand dollar has fallen 19 percent in recent months. Lower interest rates are also helping farmers to some extent. This week financial markets have also had to digest the unsettling news in regard to the Greek economy, with the Greek Government being in default on a payment to the IMF, and volatility in the Chinese equity markets. Again, these highlight that we cannot be immune to changes to sentiment and activity across the global economy. Dr Shane Reti : How well positioned is New Zealand in the event that recent global market turbulence and weakness should deteriorate further? Hon STEVEN JOYCE : We have, in recent weeks, been reminded that notwithstanding New Zealand’s strong relative economic performance and outlook, parts of the international economy are very fragile. The good news is that we are better placed to weather unexpected developments than we were back in 2008. For 5 consecutive years now, Kiwi households have been saving rather than over-borrowing. New Zealand’s net international investment position, which measures this country’s international debt, has strengthened considerably since 2009. Interest rates are back to near 50-year lows, which helps businesses and households with a mortgage, and every day we do the hard yards of managing our spending responsibly. We are on a clear track to surplus and to paying down debt. As members know, this is very important in order to strengthen the resilience of our economy and protect our people. Mr SPEAKER : Order! The first part of the question is quite in order. Hon STEVEN JOYCE : The member is deliberately misrepresenting New Zealand’s external position. The important position is the country’s net investment position—which was what I was stating in my answer—which has improved and strengthened considerably since 2009. Once again, Mr Robertson shows that he is all about the Government and not about the country. Dr Shane Reti : How does New Zealand’s current economic performance compare with other developed economies? Hon STEVEN JOYCE : It is important that we do not talk New Zealand down, although that is a favourite pastime of some members of this House. The reality is that New Zealand’s economic performance is currently stronger than many of the economies that we typically compare ourselves with. New Zealand’s 2.6 percent GDP growth in the year to March compares with 2.3 percent in Australia, 2.4 percent in the UK, 2.1 percent in China, minus 1 percent in Japan, and 1 percent in Germany. Hon Member : What about the last quarter? Hon STEVEN JOYCE : Perhaps, the member might like to get himself a question. Average growth across the OECD group of rich economies was just 1.9 percent. So despite a number of global risks, New Zealand is performing well by international standards and is heading in the right direction. Fletcher Tabuteau : Will he now concede that his Budget should be called “the plan that is already not working”, as it was a Budget made using overly optimistic assumptions, which, in fact, means that it is a Budget that will not work, now reinforced ever so sharply by the loss of $1.2 trillion off the Chinese stock exchange since 12 June? Hon STEVEN JOYCE : No, and it is important that the member notes the automatic stabilisers that do exist in the New Zealand economy—for example, the exchange rate, as I said in the answer to the primary question, has dropped a trade-weighted level of around 19 percent, and that helps to offset a decline in prices for commodity exporters. On top of that, the Reserve Bank has the ability to reduce interest rates, and we have seen that also. That is how a modern market economy deals with changes in international prices for its goods. Dr Shane Reti : What is the Government’s approach to strengthening the economy’s resilience in the face of recent turbulence and weakness in some global markets? Hon STEVEN JOYCE : Firstly, of course the Government runs a conservative and sensible fiscal and monetary policy for New Zealand. It also remains focused on progressing its economic development plan for New Zealand. These things—like ultra-fast broadband to 80 percent of New Zealanders; like signing new free-trade agreements such as the Korean free-trade agreement and negotiating others like the Trans-Pacific Partnership; delivering on more skills that are relevant to industries in the areas of information and communications technology, engineering, and so on; rolling out key transport roading projects, which improve the connectivity between our regions and our major ports and facilities; and reforming various regulations to provide certainty, timeliness, and cost-effectiveness in investment decisions—are part of the 350 action points making up the Government’s Business Growth Agenda, a plan that is steadily delivering dividends for this country. James Shaw : With continuing falls in global dairy prices, would he agree that Treasury’s downside economic scenario in the 2015 Budget Economic and Fiscal Update is turning out to be the reality, and how is he preparing New Zealand for the blowout of the current account deficit, the loss of $26 billion of GDP out to 2019, and increased Government debt? Hon STEVEN JOYCE : No, I do not think he is correct in relation to Treasury’s downside scenario. Although, of course, prices are dropping, Treasury’s downside scenario actually made its prediction without a decline of the trade-weighted New Zealand dollar or short-term interest rates, which has come to pass. As I said to the other member, that actually has the off-setting for some of the decline in commodity prices. So the easing in monetary conditions does help to protect New Zealanders from the less rosy international developments and does help to off-set the negative impact on New Zealand exporters. As I say, that is a slightly different track from the scenario he refers to. 2. GRANT ROBERTSON (Labour—Wellington Central) to the Minister of Finance : Does he agree with the Prime Minister’s advice to farmers in November of last year that they should not get too worried about the milk price? Hon STEVEN JOYCE (Associate Minister of Finance) on behalf of the Minister of Finance : Yes. Every farmer’s situation is unique, but the point the Prime Minister was making is that we have a world-class dairy industry that has a very solid track record of resilience and adaptation to changing international market conditions. The member should also be aware, of course, that the trade-weighted New Zealand dollar has fallen 19 percent in recent months, and this, along with lower interest rates, will help off-set the full impact on farmers’ incomes from the drop in global dairy prices. Declaring a crisis is the member’s preferred approach to every market development, but I cannot see how that actually is particularly constructive. Grant Robertson : Was the Prime Minister correct, then, when he also told farmers in November, 7 months ago, that the dairy price slide would bottom out soon and start climbing again, and what is his definition of “soon”? Hon STEVEN JOYCE : The dairy price will undoubtedly rise again in the next stage of the cycle, and the member, I think, would be trying to guess exactly when that occurs. There are a number of intersecting international conditions, including, as I pointed out in response to an earlier question, the Greek situation and some of the challenges in the Chinese economy currently. The thing for New Zealand is you cannot control the world economy, but you can control your response, and our response is to operate a conservative, sensible fiscal and monetary policy and continue to encourage the diversification of the New Zealand economy. Grant Robertson : When did he first become aware that there was going to be a global milk glut, and what action did he take in response to that? Hon STEVEN JOYCE : I am tempted to say that it is not the job of the Minister of Finance to soak up a glut in any particular commodity. The member, of course, may think that in his command economy – type approach to the world that would be possible. The response of a sensible Government is to run a sensible fiscal policy to ensure that the stabilisers are in place to counter any downturn in commodity prices and continue to invest in opportunities to grow and develop the other parts of the New Zealand economy. That is exactly what this Government is doing, and that is exactly what the Opposition now appears to be criticising. Mr SPEAKER : Order! Is it available on the net for members to get? Mr SPEAKER : Order! I will accept the honourable member’s word. Leave is sought to table that particular document. Is there any objection? There is objection. Grant Robertson : Is he aware that ANZ is now forecasting a dairy payout of $4.50 for next season on top of the $4.40 for this season, and that this would see $13 billion stripped from regional economies over 2 years, representing a real risk to the viability of many farms? Mr SPEAKER : Order! The answer is now going on for far too long. Grant Robertson : Is it not time for him to drop the complacency, stop blaming everybody else, get real about an economy that has moved from a stumble to a stagger and is built on the volatility of the Auckland housing bubble and a peaking Christchurch rebuild, and actually come up with some action to diversify the economy? Mr SPEAKER : Order! The member must resume his seat. That is enough of an answer. James Shaw : When does the Minister of Finance project that dairy prices will recover? Hon STEVEN JOYCE : I do not think it is wise for the Minister of Finance to be picking the turn in any commodity cycle, actually. I think the job of the Minister of Finance is to carefully run the country’s finances to ensure that the automatic stabilisers have an opportunity to operate, as they are in this case in terms of a lower exchange rate and lower interest rates through the Reserve Bank; to continue to invest, through other Ministers, in things that help diversity and develop other parts of the New Zealand economy; and to continue to do such things, through other Ministers, that help New Zealand trade—for example, free-trade deals like the Korean free-trade agreement, and, hopefully, soon for New Zealand, the Trans-Pacific Partnership. These sorts of things actually improve the opportunities for New Zealand exporters. James Shaw : Given that the Minister of Finance does not seem to have any information projecting when dairy prices will recover, why did he tell Radio New Zealand in March that the concentration of capital in dairying was not a bad thing; and does this over-allocation of resources into one sector not risk destabilising the whole economy as the dairy boom turns to bust? Hon Nathan Guy : Apples. Hon STEVEN JOYCE : —including high-tech manufacturing, including apples—a whole range of those sorts of export industries. So, again, if he wants to subscribe to Mr Robertson’s bust scenario, that is fine, but most New Zealanders know we have a very resilient and broad-ranging economy. James Shaw : What specifically is he going to do to support overleveraged dairy farmers through this bust? Hon STEVEN JOYCE : We will be doing the sorts of things that actually help minimise the risk, which include keeping Government expenditure under control to keep interest rates down through the cycle, which is very, very important. We will also be running a responsible fiscal policy that does not create risk externally in a time of a fragile and not without risk world economy. What the member may be suggesting is something in terms of direct bailouts. I think that would be inappropriate. The New Zealand dairy industry is very resilient. It is one of the most efficient dairy industries in the world. I am sure it will be positioning itself right now to recover from this lower dairy price and prosper in the next cycle. 3. IAN McKELVIE (National—Rangitīkei) to the Minister for Primary Industries : What recent announcement has he made about Government support to help tackle hill country erosion? Hon NATHAN GUY (Minister for Primary Industries): Yesterday I was in the hills west of Whanganui to announce that nearly $8.8 million in funding grants over 4 years will be provided to help councils and farmers tackle hill country that is prone to erosion. This hill country erosion fund was established in 2007 and is part of the Government’s commitment to improve the sustainability of hill country. The current round is supported by funding from local councils and landowners and will provide funding that covers almost 550,000 hectares of erosion-prone hill country. Ian McKelvie : Why is this scheme so relevant to landowners in the flood-affected areas of the lower North Island? Hon NATHAN GUY : Good question. I have seen the serious damage that hill country erosion has caused after the storm in the Whanganui, Rangitīkei, and southern Taranaki districts, both economically and environmentally. This funding round is timely, given that $4.7 million out of the total is going towards the Horizons Regional Council. This covers these districts that have been badly affected by some flooding and erosion. The fund allows councils an opportunity to plan and deliver initiatives over the next 4 years to tackle this problem. This includes projects like farm planning, modelling, and tree planting. 4. 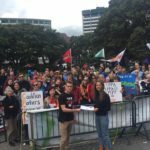 CHRIS HIPKINS (Labour—Rimutaka) to the Minister of Education : Does she stand by all her statements? Hon HEKIA PARATA (Minister of Education): Yes, I stand by my full statements in the context that they were given. 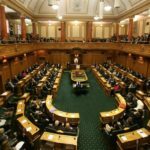 Chris Hipkins : Does she stand by her answer to the House yesterday that the $2.5 million surplus of a charter school sponsor is “accounted for, but the member just does not like the way they are using their funds.”; if so, can she explain exactly what the sponsor is using the $2.5 million for? Hon HEKIA PARATA : I do stand by my statements. So for Te Kura Hourua o Whangarei Terenga Parāoa, it had an income of $2,016,630 and parent contributions of $204. Curriculum delivery was $149,668. Finance and administration was $239,381. I can go on, but I am happy to table this, although it is already in the public domain. Basically, total expenses were $1,355,782, leaving an operating surplus of $637,170. Chris Hipkins : What is the operating surplus, and the $1.8 million establishment grant they received in addition to that, being used for? Hon HEKIA PARATA : For their contracted outcomes: education deliverables. Chris Hipkins : What costs was the $1.8 million establishment grant intended to cover? Hon HEKIA PARATA : Establishment costs. Chris Hipkins : Given that none of the $1.8 million has been spent on establishment costs, does the Crown have any ability to recoup that money? Hon HEKIA PARATA : The school is still in the process of establishing itself. It received, as part of the total sum I have just outlined, $2,016,630, of which $1.8 million was received for the purposes of establishing the school. As I advised the House yesterday, the school is leasing premises while it secures land, if it is able to do so; upon which it will build a school if it is able to do so. In the meantime, it has, according to its tabled accounts, banked those funds, has accrued interest, and is spending it on education deliverables. I am sure that the member and the House will be pleased to know that in 2014 it delivered 100 percent in National Certificate of Educational Achievement (NCEA) level 1, 86 percent in NCEA level 2, and 100 percent in NCEA level 3. And this is for a school that, unlike other State schools—if the member would like to listen to the actual facts rather than to himself—requires that its roll be made up of 75 percent of the most at-risk kids. The irony here is that instead of the school being applauded for turning around kids who are most at risk, it is being criticised. Instead of being applauded for its transparent accountability, which is up on the site, it is being deplored by the Opposition. Chris Hipkins : Do Ministry of Education guidelines recommend that State schools aim to operate a 0.05 percent surplus; if so, how does she justify the roughly 66 percent surplus He Puna Mārama Trust generated, once its establishment funding is taken into account? Hon HEKIA PARATA : Those are indeed the guidelines, not the prescription, and that is why just under 50 percent of all of our State schools run surplus-operating budgets. Chris Hipkins : Has any single State school in New Zealand operated a surplus in excess of 66 percent; if so, when and which ones? Hon HEKIA PARATA : I try very hard to be on top of my portfolio, but I am unable to give the specific dollars for 2,493 State schools in financial year 2014. I think the member is being unreasonable. Tracey Martin : Does she stand by her statement of 30 April 2015, that the ongoing problems at Hato Pētera College boarding hostel need to be resolved by the school and the Catholic Church, even though she has the power to remove the hostel licence on health and safety grounds, which would force the diocese to take action to improve the hostel conditions for these boarding students? Hon HEKIA PARATA : Yes. 5. DAVID SEYMOUR (Leader—ACT) to the Minister for Social Housing : In light of [the Prime Minister’s] answers to Oral Question No. 2 on 30 June, does she consider overseas investment in community housing projects to be consistent with the openness of other countries to New Zealanders investing internationally? Hon PAULA BENNETT (Minister for Social Housing): To my knowledge there is currently no overseas investment in community housing projects. However, we would not rule that out. There are, of course, examples of New Zealand organisations investing overseas very effectively, and I am sure that is in the best interests of New Zealanders. David Seymour : Does the Minister find it odd that some people are questioning whether Australian and other overseas parties should be able to buy into community housing projects in New Zealand while they also celebrate the investment success of the New Zealand Superannuation Fund, which is substantially invested overseas and has over $25 billion of foreign investments, 5 percent of which are estimated to be in property? Hon PAULA BENNETT : Yes—in fact, I find a lot of things that some people say in this place to be odd. For example, someone who may have once worked for an international charity organisation like Oxfam, which has a New Zealand presence, but has a huge issue with, obviously, other organisations playing a part in New Zealand would seem hypocritical. David Seymour : Is the Minister aware that the New Zealand Superannuation Fund has $2.4 billion invested in Australia, that its 2014 annual report featured its diverse property investments in Europe and the US, and that Kiwi households have in excess of $7 billion in direct investments in overseas share markets and another $39 billion invested in funds that will also be substantially invested overseas; and does she agree that this no more hurts those countries than overseas investment in New Zealand harms us? Mr SPEAKER : In so far as there is ministerial responsibility—the Minister for Social Housing, the Hon Paula Bennett. Hon PAULA BENNETT : I suppose the question was whether I am aware, and, yes, I am. The figures that I have in front of me say that the fund’s overseas investments are worth $25.5 billion, or 86 percent of the superannuation fund is invested overseas. Of course, the fact that those advantages are being brought back to New Zealand will be in New Zealanders’ best interests. 6. JONO NAYLOR (National) to the Minister of Transport : What recent progress has the Government made on delivering the Urban Cycleways Programme? Hon SIMON BRIDGES (Minister of Transport): Earlier today, alongside the member Jono Naylor and Grant Smith, the Mayor of Palmerston North, as well as many happy children and much merriment, I was delighted to open the Longburn shared pathway in Palmerston North. The Longburn pathway is the first project to be completed in the Government’s $333 million Urban Cycleways Programme, which will see 54 cycleways rolled out across the country over the next 3 years. By central and local government working together through the Urban Cycleways Programme, the project has been completed 6 years ahead of schedule and now provides residents with an alternative safe transport and recreational link between Longburn and Palmerston North. Jono Naylor : In what other ways is the Government’s Urban Cycleways Programme supporting the increased uptake of cycling in Palmerston North? Hon SIMON BRIDGES : Last week I announced that $10.2 million will be invested in two further projects in Palmerston North as part of the Government’s Urban Cycleways Programme. The Manawatū River bridge and shared-path project will provide a safer and direct cycling route option for residents and allow over 6,000 workers and over 7,000 students to access work and educational centres. The Mangaone underpass project will provide an alternative and safer route for access to schools and residential areas west of the city. When completed, all three cycleway projects will provide safe and healthy transport and recreational options for the people of Palmerston North. Darroch Ball : Does the Minister believe the Manawatū region’s priority is a $6.2 million “nice-to-have” cycleway or investing that money on the region’s essential roading infrastructure, which this Government has consistently neglected, namely the Manawatū Gorge, a major artery to our region, which has cost nearly $20 million just due to slips over the past 5 years? Hon SIMON BRIDGES : I appreciate the member’s disappointment, though that is primarily because he was not elected deputy leader of the New Zealand First Party; Ron Mark was. We are spending and we are investing $450 million in that region over the next 3 years, some 30 and a bit percent more than the last 3 years. I went personally today and visited the gorge and Saddleback Road. We are upgrading that road with about $4.5 million. We are focusing across the spectrum of transport modes in that region, and that is why this Government is popular. 7. MEKA WHAITIRI (Labour—Ikaroa-Rāwhiti) to the Minister of Trade : Does he stand by the answers given on his behalf to Oral Question No 6 yesterday? Hon CHRISTOPHER FINLAYSON (Attorney-General) on behalf of the Minister of Trade : Yes. Meka Whaitiri : Does he stand by the statement given on his behalf that “there have been numerous instances of consultation with at least five Māori organisations including Federation of Māori Authorities, Ngāti Kahungunu, the Māori Medical Practitioners Association, the Ngāpuhi Group, and Te Kupenga Hauora Māori.”? Hon CHRISTOPHER FINLAYSON : When I said yes, I meant yes. Meka Whaitiri : Given that answer, why has Ngāti Kahungunu stated that “No Crown representative has ever approached, briefed, or consulted with Ngāti Kahungunu Iwi Incorporated.” on the Trans-Pacific Partnership agreement? Hon CHRISTOPHER FINLAYSON : I certainly mean yes, because they are wrong. Meka Whaitiri : I seek leave to table an email received today from the acting chief executive of Ngāti Kahungunu Iwi Incorporated stating that they were not consulted. Mr SPEAKER : Leave is sought to table that particular email. Is there any objection? There is none. It can be tabled. Document, by leave, laid on the Table of the House. Meka Whaitiri : When, or even will, all these iwi be consulted in public on the Trans-Pacific Partnership agreement? Hon CHRISTOPHER FINLAYSON : They have been, and Ngāti Kahungunu was consulted on two occasions: by the Ministry of Foreign Affairs and Trade in 2008 and by the former Ministry of Economic Development in 2010. If they said they have not been consulted, they are wrong. Meka Whaitiri : Given that he cannot recall accurately which iwi have been consulted, what confidence can other New Zealanders have that they will ever be consulted? Hon CHRISTOPHER FINLAYSON : I do not know how I could be more precise. Ngāti Kahungunu were consulted. This will be the great litany of July. Ngāti Kahungunu were consulted, and as I said yesterday, there has been a regular pattern of sending out material to people, including Ngāti Kahungunu. 8. TODD BARCLAY (National—Clutha-Southland) to the Minister of Immigration : How is the Government supporting Queenstown’s labour market, through immigration? Hon MICHAEL WOODHOUSE (Minister of Immigration): This week the Minister for Social Development and I announced a new streamlined labour market test process at Queenstown. This new process will enable employers with a low-skill vacancy to receive formal advice from Work and Income prior to lodging a migrant work visa application, rather than Immigration New Zealand contacting Work and Income after the application has been lodged. Work and Income will refer any suitable New Zealanders to the employer for consideration. Employers will also have access to an updated list of jobs where advice is required if Work and Income has no job seekers available to fill the positions. This change replaces the temporary labour market test exemption, which was in place during the busy summer tourist season and ended on 30 June. Todd Barclay : How will this process benefit employers in the region? Hon MICHAEL WOODHOUSE : New Zealanders will always be first in line for jobs, but this Government recognises that for certain roles that are hard to fill, employers need to bring in migrant workers, and this new system provides a quicker and more effective solution for them. I am advised that at 30 May fewer than 100 job seekers were registered with the Ministry of Social Development in the Queenstown Lakes area. These changes in Queenstown help address the unique circumstances faced by Queenstown employers, particularly tourism operators. The new process will provide for more certainty for employers and migrants as they know sooner whether a work visa application is likely to succeed. Sue Moroney : Does his plan to close the Queenstown Immigration New Zealand office support Queenstown’s labour market through immigration? Hon MICHAEL WOODHOUSE : Matters of the deployment of the resources for Immigration New Zealand is for it to decide, but I can inform the member that no decisions have been made on the future of the Queenstown office. Mr SPEAKER : Order! There is enough description there. I will put the leave. Leave is sought to table that particular Official Information Act document. Is there any objection? There is none. It can be tabled. Document, by leave, laid on the Table of the House. 9. DAVID CLENDON (Green) to the Minister of Justice : Does she stand by her statement in Law Talk of 8 May 2015 that “… we’d all agree it’s wrong for someone to receive preferential treatment in our courts. That is if you have more money or look a certain way that you might get a different outcome to someone else in your situation.”? Hon SIMON BRIDGES (Associate Minister of Justice) on behalf of the Minister of Justice : Yes, in the context it was given. David Clendon : Does she agree that the outcome will be different for people with money, as opposed to those without, given that her Government has cut legal aid funding by over 15 percent in the last 5 years, and intends to cut even more money next year. Hon SIMON BRIDGES : No, not at all. In fact, the international trend is quite clear, across many countries, towards self-represented litigants. There are many reasons for this and they are far from simply economic, so to attribute all of these phenomena to system changes is clearly quite incorrect. In fact, it is misleading. David Clendon : Does the Minister agree with Justice Helen Winkelmann’s statement that: “Present levels of civil legal aid inevitably mean that many individuals cannot look to the courts to enforce their rights or obtain a remedy for a wrong.”? Hon SIMON BRIDGES : To some extent I also agree very much with what she said in, I think, the same speech, that there are no easy answers to this issue, but the profession has to take a very active part in understanding the nature of the problem and striving for the solution. Indeed, she is very clear that the profession—the judiciary—has a very strong role to play in what is a complex issue. David Clendon : Does the Minister agree with her own Ministry of Justice officials, including the general manager of the District Courts, who link the increase in the number of people self-representing with the reduced availability of legal aid? Hon SIMON BRIDGES : As the member has said, that does not make very much sense at all. The introduction of legal aid, of course, is one aspect that goes to assist with access to justice. I think we all accept that access to justice is incredibly important. I would make the point that legal aid is but one part of that puzzle, if you like, and there are many things that the State provides in terms of its role to ensure that there is strong access to justice in New Zealand. David Clendon : How can the Minister continue to claim that justice is accessible to everyone when the number of community law centres has fallen over the last 6 years, despite increased demand, and when legal aid funding has been cut, despite the expressed concern of senior judges, lawyers, academics, and ordinary New Zealanders? David Clendon : I raise a point of order, Mr Speaker. I wonder whether it is appropriate for the Minister to refer to a member as being ignorant, in this House? I take offence at that. Mr SPEAKER : Well, it is certainly not helpful to the order of the House and I would appreciate it if the Minister would just answer the question. [Interruption] Order! If the Minister wants to stay in the House, then I would be grateful if he would not chat while I am suggesting that his answers could be far more helpful without creating disorder in this House. Does the Minister wish to complete his answer? Is there a further supplementary question? 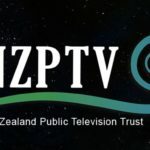 David Clendon : Given the widespread concern around access-to-justice issues, will the Minister consider supporting the Green Party’s request to the Justice and Electoral Committee for an inquiry into the accessibility of justice in New Zealand? Hon SIMON BRIDGES : No, because the courts are open to those who wish to avail themselves of them, because legal aid is there to support those who most need it in our society, and because support is available from the courts for those who self-represent. Mr SPEAKER : Order! No, that information will then be easily available for members to obtain. 10. FLETCHER TABUTEAU (NZ First) to the Minister of Trade : Does he stand by his statement in respect of the Trans-Pacific Partnership Agreement that “We were never going to start the serious negotiations until it was show time”, and will this include the future of Fonterra? Hon STEVEN JOYCE (Acting Minister of Trade): Yes, the Minister does stand by his statements on the Trans-Pacific Partnership. This includes the statement that further negotiations are needed to resolve the most difficult issues in negotiation, which include market access for dairy. In respect of the second part of the question, if the member is referring to the structure of Fonterra, the way Fonterra operates, established in the dairy industry reforms of a decade ago, is not up for negotiation. Mr SPEAKER : Order! Supplementary questions must be concise. Bring the question to a conclusion very quickly, otherwise I will rule it out of order. Mr SPEAKER : Order! Debates occur after question time. If the question can be made out—[Interruption] Order! I am on my feet at the moment. If the Minister can establish a question out of that, I invite the Minister to answer it. Tracey Martin : I raise a point of order, Mr Speaker. Unfortunately, because that is a direct quote from hearings held on the Trans-Pacific Partnership, the Minister would not be able to answer the question of my colleague without hearing the direct quote. Mr SPEAKER : Order! The member needs to study the Standing Orders. Standing Order 380 is quite specific on how questions can be asked. That question is miles too long. I warned the member. He then continued with a long question. I am now giving the Minister the opportunity to answer. If there are further supplementary questions and they are of that length, I will simply rule them out of order. Mr SPEAKER : Order! Would all members resume their seats. This may be a fresh point of order, in which case I am happy to hear it. But if it is in any way a relitigation of a ruling I have just made in respect of that question, then I will treat it very seriously indeed. Mr SPEAKER : Order! It is the last day before a break, so I will, on this occasion, be a little generous to the member. The published Hansard will be available at about 4.30 p.m. I suggest he just count it for himself. [Interruption] Order! No, the member will resume his seat. The question has been asked with some difficulty for me to decipher, but I am going to give the Minister a chance to answer. If there are further supplementary questions, we will move from there. Hon STEVEN JOYCE : It is not the job of the New Zealand Minister of Trade to reconcile the statements of a US lobbying group, whoever they are. I stand by the answer to the substantive question. Mr SPEAKER : Order! That will do. The question has been asked, and again it is too long. Hon STEVEN JOYCE : The answer remains the same. It is not the job of the New Zealand Minister of Trade to reconcile the positions of any other organisation that is lobbying in favour of a particular outcome in regards to a trade agreement. It is the responsibility of the New Zealand Minister of Trade to lead the negotiation of the Trans-Pacific Partnership. Fletcher Tabuteau : Can I raise a point of order and seek clarification? Mr SPEAKER : Yes, you can. Mr SPEAKER : Order! The member has just summed it up perfectly for himself. I have noticed a habit whereby increasingly the questions that are asked by this particular member are far too long. I have given him the opportunity to shorten them. He has not taken my advice. He may well get the same treatment in the future. Does the member have a further supplementary question? Fletcher Tabuteau : Can the Minister confirm to New Zealand farmers and consumers that under a Trans-Pacific Partnership agreement United States milk and meat products containing wrapped dopamine and recombinant bovine growth hormone, both banned here in New Zealand, will not enter into New Zealand, as stipulated by the EU in its own free-trade agreements with the United States? Mr SPEAKER : Again, marginal but I will allow it. Hon STEVEN JOYCE : There are all sorts of things that are being negotiated, including such issues as phytosanitary conditions and all the requirements on animal product health and so on. These negotiations are continuing. The Minister is not in a position to comment on individual items, except to say, in response to the substantive question the member raised, that the way Fonterra operates is not up for negotiation. 11. JACQUI DEAN (National—Waitaki) to the Minister for Small Business : How are small businesses benefitting from Government policies that are helping to keep interest rates lower for longer? Hon PAUL GOLDSMITH (Minister of Commerce and Consumer Affairs) on behalf of the Minister for Small Business : A strong, growing economy and low interest rates help create an environment that supports small business growth. Policies limiting the amount of extra Government spending, lowering personal and company taxes, and focusing on sustainable jobs have contributed to GDP growth of 2.6 percent, while at the same time reducing upwards pressure on interest rates. Annual business investment increased by 13 percent over the past 2 years, to record highs, and is expected to increase by a further 15 percent by mid-2018. That is why this Government is better for business. Jacqui Dean : Why are lower interest rates important for small and medium businesses? Hon PAUL GOLDSMITH : Small and medium businesses are now more confident as they have been operating in a growing economy and enjoying low interest rates. Lower interest rates help ensure small businesses have good cash flow. Cash flow gives small businesses certainty when paying bills. This is in contrast to 2008, when the economy had been in recession for 1 year prior to the global financial crisis, and mortgage interest rates were over 10 percent. Ria Bond : If the Minister is such a big champion of small business, as he claims, then why is he not calling for an immediate cut in the official cash rate, along with reforming the Reserve Bank of New Zealand Act, to put our exporters first? Hon PAUL GOLDSMITH : I just want to pass on to the new member of the caucus that the Reserve Bank is not foreign-owned, and it would not be appropriate for me as a Minister to instruct it in any way. 12. POTO WILLIAMS (Labour—Christchurch East) to the Minister for Building and Housing : Does he stand by his statement in relation to affordable housing in Christchurch that he is “on top of the problem”? Hon Dr NICK SMITH (Minister for Building and Housing): Yes. Average rents grew by 9 percent in 2012, 12 percent in 2013, and another 9 percent in 2014, but have dropped by 4.7 percent in the past year. Median house prices grew by 9 percent in 2012, 7 percent in 2013, and 15 percent in 2014, but house prices in Christchurch have dropped by 3.6 percent in the past year. Poto Williams : Why did he say that he was encouraged by affordable housing figures for Canterbury when his housing accord has failed to meet its own target of 25 percent of new houses being affordable in all but one of the past 6 months? Hon Dr NICK SMITH : The housing accord in Christchurch was signed just 6 months ago. An important part of it is the change in the district plan, which has not yet occurred. The HomeStart scheme began only on 1 April, but I note that in house prices, in rents, and in affordability, all have improved over the past 6 months. Poto Williams : How can he say that he is on top of the problem when Christchurch rents are still $82 per week higher and house prices are still $110,000 higher than they were before the February 2011 earthquake? Hon Dr NICK SMITH : I would point out that if you look at the Massey University housing affordability study, it actually shows that despite the earthquakes, houses in Christchurch are 30 percent more affordable than when we became the Government—30 percent more affordable than when we became the Government—which actually shows simply how bad things had got at the end of Labour’s term, in respect of housing costs. Paul Foster-Bell : What does the latest data on housing affordability show in Canterbury, and how does this compare with the previous quarter, the past year, and when National came into Government? Hon Dr NICK SMITH : The Massey University housing affordability index is out just today. It looks at house prices. It looks at mortgage interest rates. And it also compares incomes. It shows that affordability in Canterbury improved over the previous quarter, that it has improved over the past year, and, as I noted in my answer to the previous question, that it is 30 percent more affordable than when we became the Government. Poto Williams : What does he say to Sonya Tranter and her children, and to two other families forced to live in an overcrowded house in Linwood because it was all they could afford, and does he agree with the Christchurch Press that there is no bigger crisis facing the region than security and affordability of housing? Hon Dr NICK SMITH : I would say two things. Firstly, to the woman and family concerned: if she looks at all of the data—rents, house prices, and housing affordability—things are significantly better than they were after 9 years of a Labour Government. I would say: look at the data that shows that, on housing in Canterbury, we are on top of the problem. Poto Williams : Which of the five excuses that he gave the Press has the most credibility: when he disputed that there was a 25 percent target; when he challenged Labour’s figures, which turned out to be correct; when he claimed incorrectly that he was exceeding the target; when he said that it was too early to draw conclusions; or when he tried to blame the council? Hon Dr NICK SMITH : I simply draw to the member’s attention the fact that rents in Christchurch have dropped by 4.7 percent over the past year. If we look at house prices in Christchurch over the past year, they have dropped by 3.6 percent. That is an improvement in affordability, and I do not know what the member’s problem is.